Are you a woman who wants to charge up her business? You’re in the right place! This is the P.O.W.E.R. 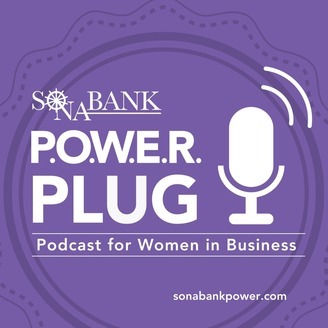 Plug Podcast by Sonabank where we believe in the Potential of Women Entrepreneurs Realized – and all women with an entrepreneurial spirit. 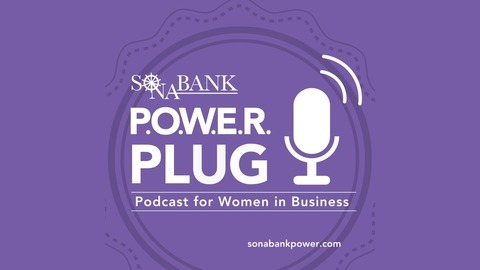 In each episode host Mary Foley talks with women in business who shares their practical advice, tools and tips to help build your business and keep you energized! Many small business owners and entrepreneurs find business or personal travel planning a stressful endeavor. There are a multitude of components that go into having a great travel experience. Circumstances arise when logistics change, online offers expire, travel companions need separate arrangements, or a client mandates an alternative meeting time. Utilizing the services of a Travel Advisor can make your travel more productive, more affordable, and help you grow your business. Plus, travel incentives are the best way to demonstrate how much you appreciate your high-performers and get team members out of the office in a diverse and fun environment. Host Mary Foley speaks with the CEO of Tour Plan International, Stella Capocelli Carter about the exciting world of business and personal travel. Stella has been a travel industry insider since 1982. During this episode, she shares the top travel tips rarely shared by the travel industry, how organizations can save big money on group excursions, and inventive ways companies can use incentive travel to build relationships between nationwide teams and to retain valuable employe.